Are you missing all or most of your teeth due to injury or decay? If so, you are probably an eligible candidate for implant-supported Teeth Next Day® at Vero Dental Spa. 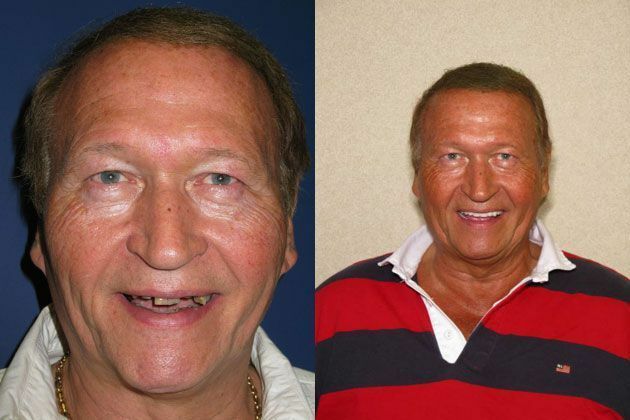 Replacing your missing teeth with an implant-supported treatment is the best option for restoring your oral health. Most patients are eligible for Teeth Next Day®. While a lot of our patients are good candidates for Teeth Next Day®, there are still some situations that might affect the success of your treatment. Your current medical conditions. Before beginning treatment, you should have an overall physical to screen for medical conditions that might cause Teeth Next Day® implant failure. If possible, try and send your physical results to our office, so we can determine the best possible treatment plan for your unique conditions. Smoking and lifestyle habits. We recommend quitting tobacco use for at least a few weeks before and after the surgery. It is important to remember you are investing in your health by treating your tooth loss. This might be a good sign that it is time to quit smoking. People who consume excessive amounts of alcohol and illegal drugs are also at a higher risk for Teeth Next Day® implant failure, as it can impede the healing process. Location to the dentist. While living far from Vero Dental Spa will not make you ineligible for Teeth Next Day®, you should consider this variable when choosing a dentist. Even though the procedure is done in one day, it is a good idea to go to the same dentist for follow-up appointments - especially for Teeth Next Day®, since they are a custom treatment by Dr. Ajmo. Does it fit into your budget. While Teeth Next Day® are one of the most advanced teeth replacement option on the market, they are not the lowest cost. We recommend making sure that you have all of the costs budgeted into your finances, before committing to a treatment. If you are relying on insurance to pay for part of your treatment, make sure you have an open discussion with our office to maximize your benefits. Oftentimes, patients are turned away from dental implant supported treatments, because they are told they do not have enough bone for the treatment. At Vero Dental Spa, we use advanced 3D CT Scan technology for a better view of jawbone, and we find that the majority of patients do have enough bone for Teeth Next Day®. With 3D CT Scans, we can get a good view of the exact placement on the jaw, and the size of implants required to support your custom treatment. As we have mentioned, to qualify as a candidate for Teeth Next Day® or dental implants, you will need enough bone and gum tissue to anchor in the implants. 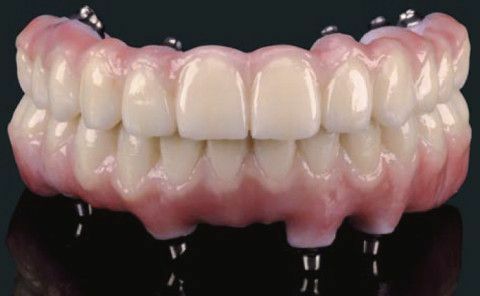 Oftentimes, patients with traditional dentures that have waited a long time to treat their tooth loss will see significant jawbone deterioration and even collapses in some cases. In these instances, we will recommend a bone graft. At Vero Dental Spa, we want all of our patients to experience the best possible outcomes for their dental restoration treatment. Take the next step in determining your candidacy for Teeth Next Day®, call us today for a consultation at 772-778-5550.